This listing was posted on MotoSeller.com. It has been well cared for and garaged its entire life.Documents Included: Original German Packing List, Owners Manual, Factory Shop Manual, 1974 car registration. Mechanical •Original engine. Never pulled, it has had regular oil and filter changes • Transmission: Rebuilt in mid- 80’s,including clutch. This was typical for the car Interior Clean and odor free. No smoking ever in the car. Originalheadliner, dash, console and door panels. Driver seat rebuilt in 1990. It needs to be reupholstered. I have bothseat pads for it from World Upholstery and they go with the sale. Trunk is clean, rust free, all original in colorwith original toolkit. Exterior Repainted in 1978 due to the failure of the factory clear coat (BMW recall).Maintained in original Sienna Braun. In around 1979/80, incurred minor front damage in an accident. The hood wasnot damaged; just the front and you can see evidence of this due to the replacement part that has a snorkel. Thewindshield is cracked. The wheels are not original to the car, they are 1973 Ronal’s and I have been toldrare/collectible. They were on the car when purchased. In 1990, I restored the paint and front seats. It wasstripped completely, primed and had Siikens two-step paint applied. All chrome border trim, rubber around windows,trunk, and doors were replaced. Retained original Sienna Braun color. Driving Condition For the last twenty years, ithas been sitting in the garage and driven on a local errand, once or twice a month. It starts right up, always has.The only breakdown ever was when the gas gauge broke and it ran out of gas. That was replaced. Based on myobservations, I’d drive it only a few miles until it has had a thorough going over. The tires look perfect;however, they are old. If I were to keep the car, I’d replace the valve seals and rebuild the transmission.Again, it runs, there is a puff of smoke on start up and then it runs clean. There is a bit of grind whendownshifting from third to second as the synchros are worn. I would also replace the tires. All normal maintence such asoil changes, belts , water pump, battery has been done. Extras I was planning to restore the car and collectedparts in preparation for it. I haven’t made traction on my project, so it is time to release this car to someonewho will appreciate it and give it the care I have. It would make a great winter project. Extras I am includingare: Hella H-4 halogen headlamps, factory BMW 2002 service manual, new ball Joints, brake pads, rubber bushingsfor the front suspension. I also have a set of nylon bushings as well, 2 new Bilstien sport shocks for the front.Many small parts to such as clips seals, driving lamps, rubber gaskets for door handles. 2 new door stop brakes.A Hayne’s 2002 repair manual. 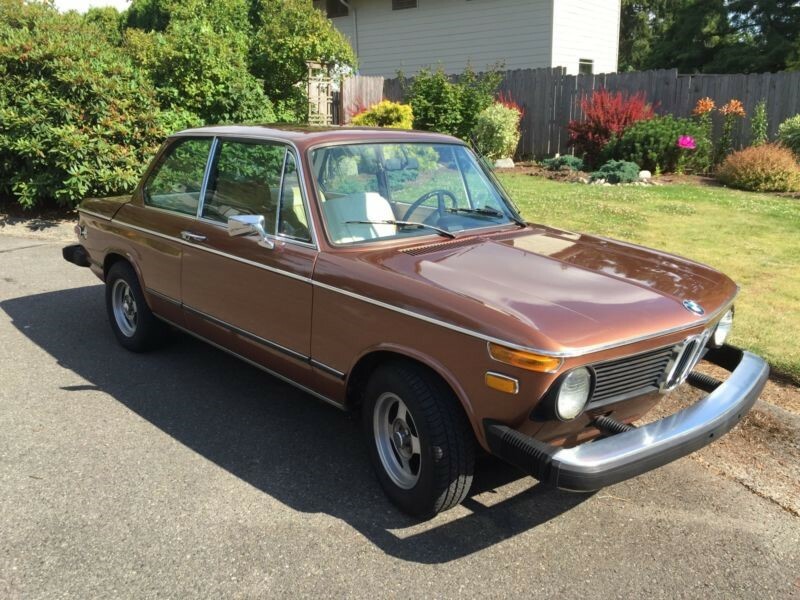 1974 Bmw 2002 is a 1974 BMW 2002 Model Classic Car. Find other listings by searching for 1974 BMW 2002 Model in on Oodle Classifieds.